Growing up, there were many people who helped to shape Larnelle into the man he is today. Larnelle shares about some of those people who impacted his life. Larnelle’s Parents significantly impacted his life. He remembers as a child his father going to jail for bootlegging and his mother crying out to God during those difficult times. “I believe now that prison was part and parcel of God answering Mom’s prayer…pain is a part of God’s plan for our lives. It refines us…” His dad learned to bake in prison. A year later, his dad walked out of prison into a new life and started working as a baker. His dad also bought property and turned it into rental income. Larnelle credits his dad’s change of direction for his not going to prison more anything else in his life. His parents changed his family tree by living out their faith and improving their lives. Miss Georgie played piano and organ at church and gave piano lessons. She discovered Larnelle could sing and took him to places to perform. He began performing as a church soloist at nine years old singing hymns like, “How Great Thou Art.” He would have to put on his best clothes and be the entertainment at ladies’ teas. These were not always things he wanted to do as a kid. Miss Georgie got on his bad side one time when she told his mother he shouldn’t try out for the Little League football team because dust would hurt his voice. Over time he realized Miss Georgie wanted as many people as possible to hear Larnelle sing from his heart about the heart of God. “Miss Georgie picked up music and put it right into my hands,” shares Larnelle. Larnelle was offered a full scholarship in vocal and percussion at Western Kentucky University. “I have no doubt God had His hand on my life,” shares Larnelle. After college, Larnelle joined the gospel group started by Thurlow Sparrow called The Spurrlows. He was a drummer, which gave him his first taste of being a full time musician on the road. The group traveled more than 250,000 miles and performed about 600 concerts and entertained a million people each season. One day, Larnelle was asked to try singing a solo. It went over well at the concerts so they asked him to do more. In 1971, Larnelle married Mitzy and also began performing with First Gear, which was created from the instrumentalists who played in the Spurrlows band. He was performing two or three times a day in high school assemblies. At night, he was singing in smoke-filled clubs with First Gear when he began having trouble with his voice. By the summer of 1974, Larnelle opted out of First Gear and life in the clubs. Years of life on the road abused his voice. Larnelle went to the doctor and the diagnosis: swollen vocal folds with formation of vocal cord nodules. Although they could be removed, it could change the timbre and quality of his voice. The doctor told Larnelle his voice might not be the same. It was a harsh realization to learn that just because you are a Christian doing Christian work doesn’t mean everything would go right. Mitzy was able to get her job back as a teacher in the same school system she had been with prior to traveling with Larnelle on the road. Although it didn’t look like it at the time Larnelle began to realize this time was a gift from God. “I ran straight to the Bible and into the arms of Jesus,” shares Larnelle. He spent time alone with God and started digesting scriptures until he was finally able to say, “Lord, if You are going to allow my voice to be taken and my career as a singer, then You must have something awfully good coming.” After a year of vocal chord rest and working with a speech pathologist the nodule formation went away. During that difficult time Larnelle says he never remembers missing a house payment or having a creditor call or knock on the door. 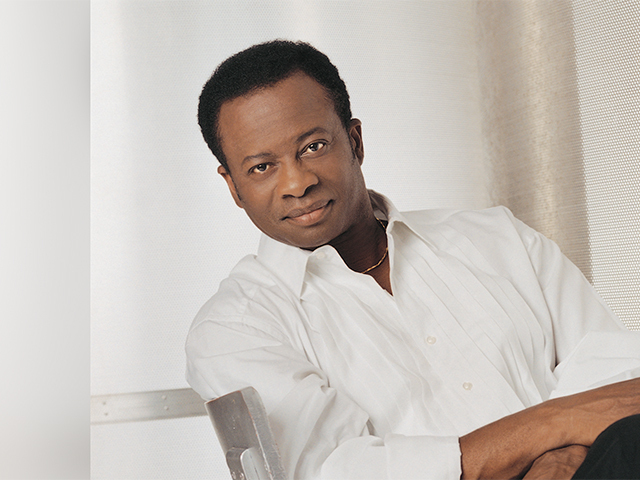 In 1975, Larnelle released his first solo album, “Tell It To Jesus.” Later that year, he was invited to be part of a Gaither Praise Gathering and joined the Gaithers on the road. By 1982, Larnelle became part of the Gaither Vocal Band for five years. He was also privileged to be a part of Billy Graham crusades and a guest singer for many Promise Keeper conferences. Larnelle has achieved nineteen #1 radio singles and countless top 10 hits impacting audiences across the globe with his music. He has performed at the White House and was the first Christian artist to perform inside the Kremlin after the fall of the Soviet Union. He received the Ad Council's Silver Bell Award for Distinguished Public Service in recognition of his song "Mighty Spirit" as the theme song for the longest-running Public Service Announcement in television history. Last year, he released a compilation CD featuring two new songs. The title track, “Disturb Us, Lord,” was played on over 150 stations nationwide and appeared on the Christian Music Weekly’s National Inspirational radio chart. The music video for the song recently garnered the Gold Award for Best Music Video from the Christian Family Film Festival. He recently performed for the National Day of Prayer event in Washington D.C., at New York City’s famed Carnegie Hall, and sang for a gathering of U.N. Ambassadors in our nation’s capitol. Later this year, Larnelle will release his first Christmas musical, based on his original song “All Year Long” from his Grammy Award-winning Christmas album. The musical was co-written with Dave Clark and Nick Robertson, and will be exclusively available through Lifeway. FINDING MY VOICE Growing up, there were many people who helped to shape Larnelle into the man he is today. Larnelle shares about some of those people who impacted his life. 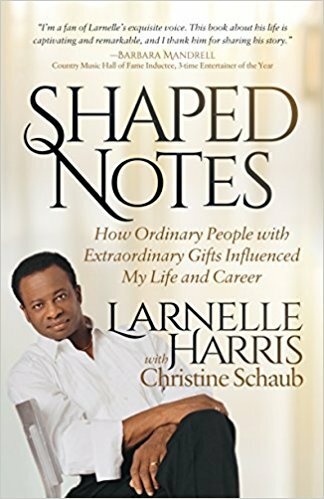 Larnelle Harris is one of the most renowned Christian vocalists of our generation. Aside from his numerous accolades in the recording industry, Larnelle has been a stalwart figure of integrity, choosing to always put his marriage and children above his career.